Want to make sure that you make a great first impression with potential clients? Well then you need to make sure that you get the finest in service for Fayetteville commercial landscaping. The good news is that our pros here at Ground Pounders Landscaping take care of commercial as well as residential landscaping, and with the same level of dedication and expertise. Don’t take chances when it comes to the care that goes into the grounds surrounding your business, no matter how big or small. Running your business should be your primary focus; this is your passion and what you are good at. The problem is that often means other essential tasks fall by the wayside. Forget about taking care of your landscaping and you may not notice, but you can be sure that your clients or potential customers will. Of course that should not mean that you take your attention away from your business by trying to take care of your landscaping on your own; which is where we come into the picture. At our Fayetteville landscaping company, we specialize in providing our clients with the highest level of quality in lawn maintenance and landscaping. We care as much about caring for the exterior of your business as you do about keeping your business running strong. Of course smart business owners know when the time comes to delegate tasks; tasks they either are not as strong at or don’t have time for. 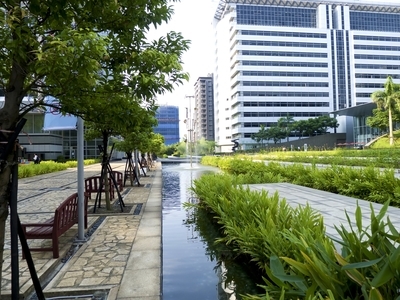 We have the skills and the time to address your need for professional commercial landscaping. You are going to love the final results we are able to deliver for you when it comes to your landscaping maintenance work. Since 2007, we have been the local leading service provider of this type of work, for both residential and commercial clients. Give us a call today to find out more about what we can do for you. We look forward to working with you and providing you with the high quality results that you deserve. As a locally owned, small business we understand the struggles associated with keeping everything running as it should. When you work with us you get a team of pros that cares about helping you keep your business running smoothly, which includes making a good impression with the exterior of your building. Call today to find out more about our dedication to providing you with the finest in Fayetteville commercial landscaping. 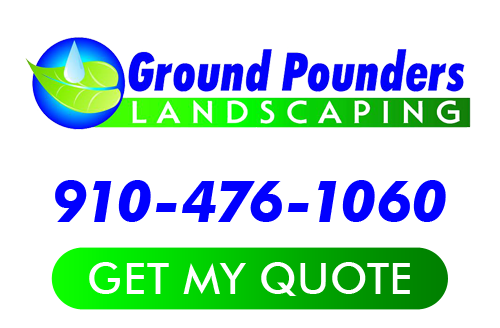 Ground Pounders Landscaping is committed to providing each and every customer with the best possible workmanship there is, so call today to get started. If you are looking for a Fayetteville Commercial Landscaping expert then please call 910-476-1060 or complete our online request form.